Stand out from the crowd with this attractive, convenient all-white sports water bottle made from BPA-free plastic. With 800ml capacity, this stylish water carrier is large enough to keep you hydrated during any serious training session, ride, or gym workout, yet still compact enough to carry in your sports bag. This water bottle comes with a squeezable body and a pop-to-open narrow mouth, so you can quench your thirst in a hurry without making a mess. The removable lid and wide mouth means you can top up, add ice cubes, or clean the bottle without fuss. 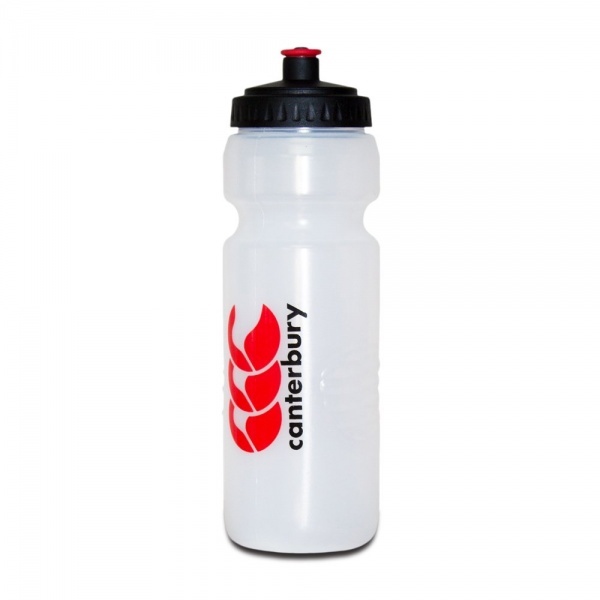 With the iconic CCC branding on the main body in high contrast red, you will distinguish yourself as one of Canterbury’s large community of fans and athletes.